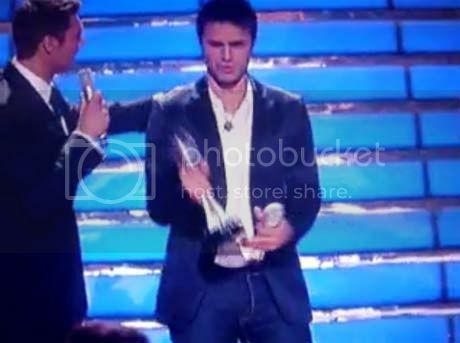 Kris Allen, the Acoustic Rocker finally wins American Idol Season 8, the most coveted and most anticipated talent search in the US that just garnered almost 100 million votes! Kris and Adam battled it off in three rounds of spectacular performances in American Idol’s Season 8 Finale. In round 1, Adam Lambert performed again his maddening interpretation of “Mad World” by Tears For Fears while Kris Allen sang his spirit-awakening version of “Ain’t No Sunshine” by Bill Withers. Kris Allen right now lines up with the roster of the greats and the champions of American Idol: David Cook, Kelly Clarkson, Ruben Studdard, Fantasia Barrino, Carrie Underwood, Taylor Hicks and Jordin Sparks. Videos of Adam Lambert VS Kris Allen showdown and performances can be watched and be downloadable in You Tube links and site.